Text Excavate the top 3 cards of your Deck, add 1 of them to your hand, also, after that, shuffle the rest back into your Deck. 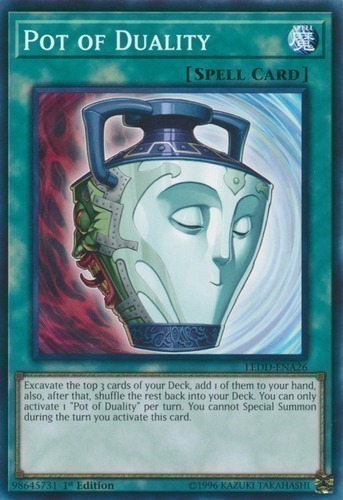 You can only activate 1 "Pot of Duality" per turn. You cannot Special Summon during the turn you activate this card.